Head to the Construction Zone for this fun week of Activities for Toddlers and Preschoolers. 7 fun activities with step by step instruction guide for a week of construction themed play, learning, creating and having fun. 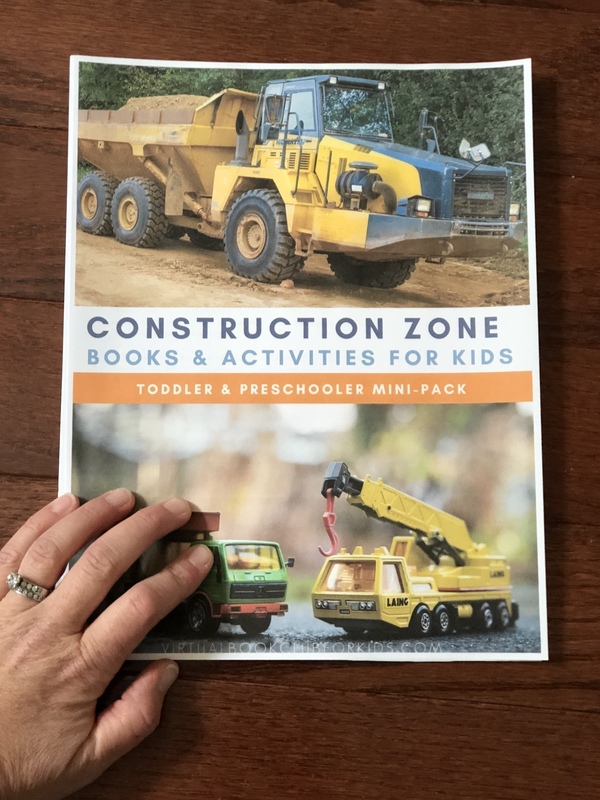 Dig out your hard hats, put on the tool belts and get ready to read, play, learn, create and have fun with our Construction Zone Mini Pack for Toddlers and Preschoolers. 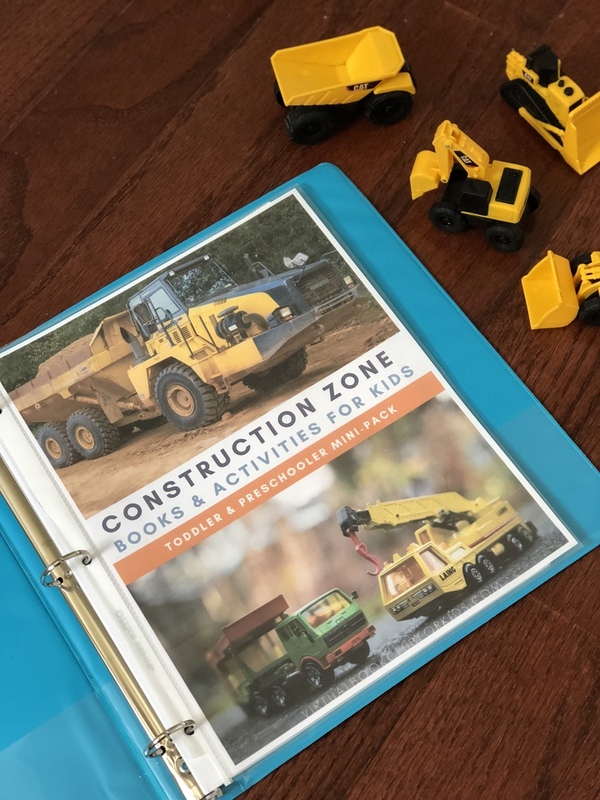 Inspired by one of the most popular themes from our Annual Virtual Book Club for Kids Summer Camp this Construction Themed Mini Pack contains step by step guides for 7 activities to bring this theme to life at home or in your setting. This is not a physical product it is a digital activity guide. We do not supply the materials or recommended books. 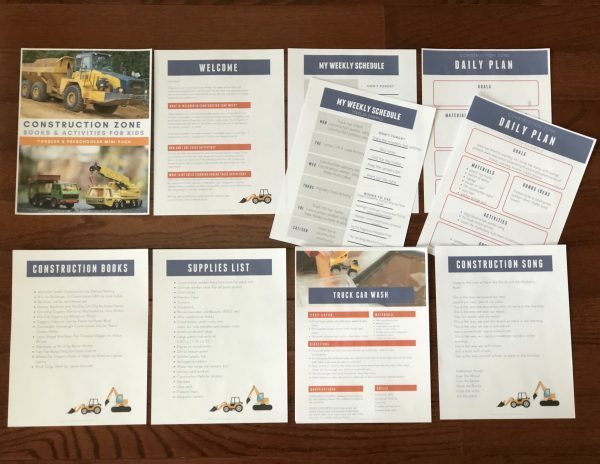 Included are step-by-step instructions plus supply lists for all activities as well as a book list for the theme and sample plans. 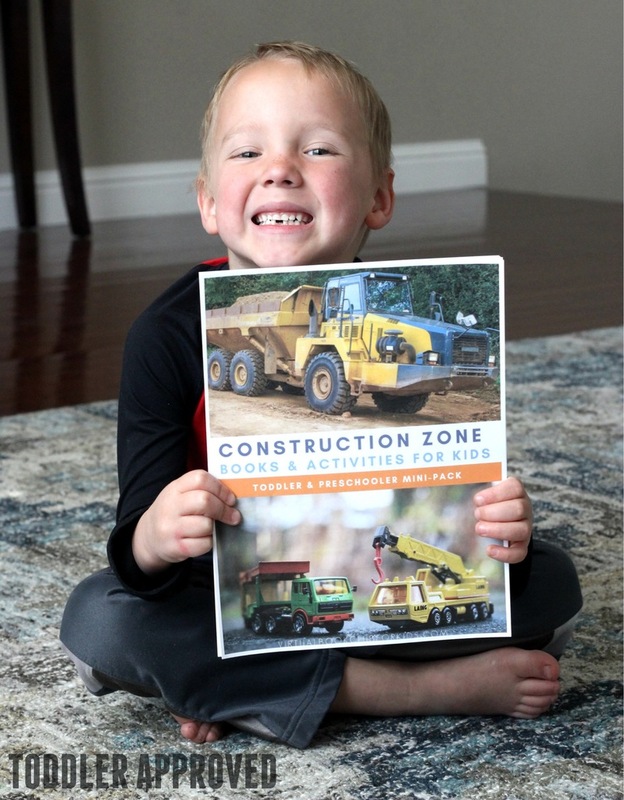 Do big trucks, diggers and tools inspire your little ones? Have you stood for hours watching the construction team at work? Want to help them to learn and have the skills needed for school whilst spending time with them at home? Then our Mini Packs are a great way to find inspiration and get started. These mini packs are created to make doing as easy as possible for you. 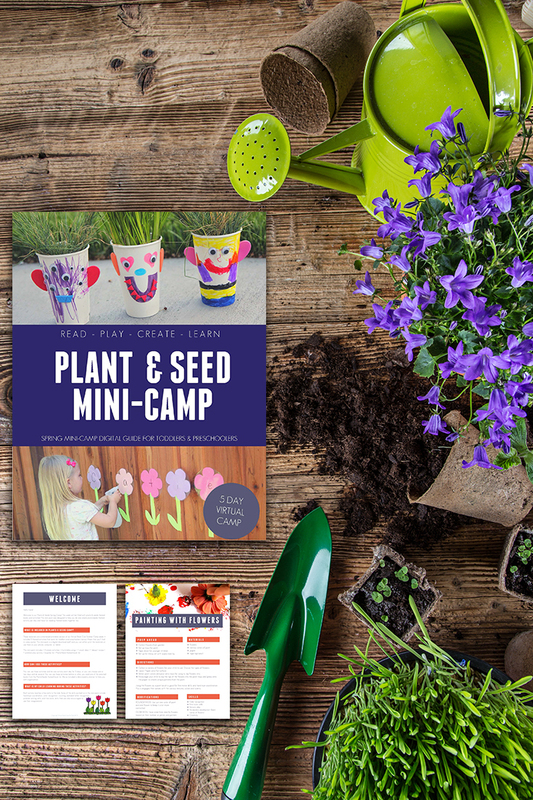 Included in each pack are 7 themed activities including sensory, number, literacy, crafts and a recipe. What Age is this mini pack for? All of our mini packs are designed for older toddlers and preschoolers to enjoy with you. However, each activity includes modifications for younger (or those not at that ability yet) and older (that have already reached that skill level) to adapt it meaning that it is possible to repeat the activities time and time again with different focuses with your child. Copyright 2018 by Virtual Book Club for Kids.